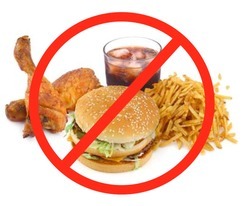 2) Highly nutritional foods help to feed the joint and reduce inflammation. You might not think it but being over weight can cause many joint issues, especially your knees. It’s simple when you think about it, the more weight you’re carrying the more your joints have to carry and that extra stress soon accumulates to pain. In regards to your knees in particular, it’s been medically proven that losing weight can eliminate knee pain as it’s thought that for every pound (lbs) lost, equates to 4 pound less load going through the knee with EVERY step, which is huge considering we are recommended to walk 10,000 steps everyday! There is no secret ingredient to improving your joint health, the main thing to keep in mind is to eat healthy. Eating foods that are beneficial for joint health are generally the foods you’d eat if you were aiming to lose weight anyways. 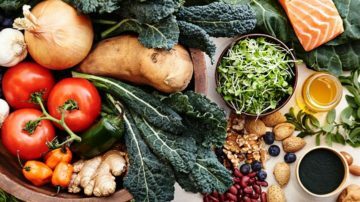 These are foods that are packed with nutrients to feed your body correctly while losing weight in the process which reduces the loading on the joint. 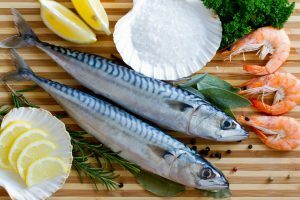 Oily fish like tuna, salmon, and mackerel are rich in omega-3 fatty acids, which help fight inflammation. This is especially good for arthritis suffers or any other inflammatory related issues. To get the full benefits I’d recommend adding fish to your diet 2-3 times a week. Tart cherries are what we call a super food! These little gems have some of the highest anti-inflammatory and anti-oxidant levels out of all fruits. This basically means they help towards preventing pain occurring through inflammation and inhibits oxidation in the body, which is essentially an ageing process. These can be consumed as a snack or made into a drink, whichever you prefer. Green vegetables are packed with vitamins K &amp; C and are full of a compound called sulforaphane, which can help slow cartilage damage in the joints and prevent osteoarthritis. Broccoli is also rich in calcium, which is known for assisting bone health. Ideally, green vegetables should be consumed every day with at least one meal. 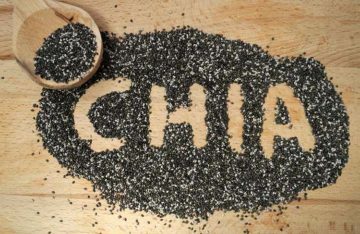 Chia seeds have the highest levels of omega 3 fats of any seeds, I’ve already touched on how omega 3 fights inflammation. Chia seeds are also rich in calcium and magnesium which promote healthy bones. Chia seeds are perfect to have with morning porridge and can be eaten every day. Garlic contains a compound called diallyl disulfide which limits cartilage damaging enzymes. Studies have also shown that this compound reduces signs of early osteoarthritis. You can easily include garlic in most meals. Tumeric is not necessarily a food but a spice. It contains an anti-inflammatory compound called curcumin which has been proven to be beneficial in the management and prevention of chronic inflammatory-related joint disease. I recommend using this spice liberally when cooking, it is used predominately in Indian type dishes. 3) Foods that are high in salt. 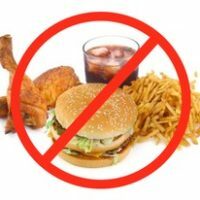 These foods/drinks contain substances that increase inflammation and cause you to gain unwanted weight which are detrimental to joint health.